Our network of websites serves more than six million puzzle enthusiasts each year. Check out our library of published puzzle books from Sterling Press and Alpha Books. 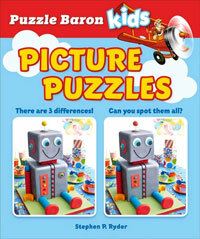 Puzzle Baron offers multiple mobile applications for iOS, Android and Windows 8 platforms. The Puzzle Baron network of websites serves more than six million puzzle enthusiasts each year. We offer top-rated mobile apps for iOS, Android, Kindle Fire, Nook and many other widely-used mobile platforms. We publish more than 40 unique printable puzzles each day, for those who still prefer solving with pencil and paper. Our library of puzzle books from Sterling Press and Alpha Books is available at reputable bookstores nationwide.